We dare you to find a salad simpler than this. 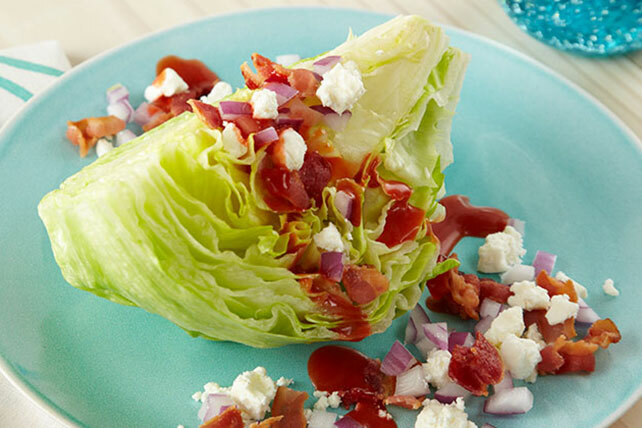 Just quarter a head of lettuce, put a wedge on a plate, top with dressing and voilà—a crowd-pleasing salad. Place 1 lettuce wedge on each of 4 plates. Prepare using KRAFT Creamy CATALINA Dressing. Prepare as directed, using KRAFT ROKA Blue Cheese Dressing and ATHENOS Crumbled Blue Cheese.